You can choose the variation of size and design easily on the website. We went for Big Bro in age 5-6 and Little Sister in age 3-4. The sizes fit my children really well, but we wore them tucked in as the length is generous but my children are quite petite! Plenty of growing room! Looking smart in their co-ordinating shirts! I was really impressed with the overall quality of the t-shirts. They are 100% cotton and really thick. They iron really well (don't forget to turn them inside out first!) and the actual print seems to be adhered perfectly. 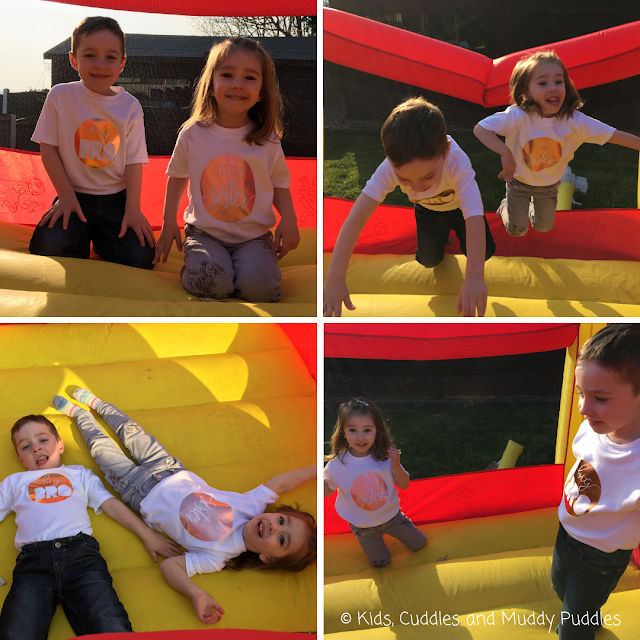 The children tested their matching outfits out in the garden this weekend. The lawn had been freshly mowed so I was a little apprehensive as the t-shirts are white, but the grass just brushed straight off! We had the bouncy castle up for the first time this year so there were somersaults and handstands a plenty and the general sibling rough and tumble! After a bit of biking and football it was time to come in for tea. 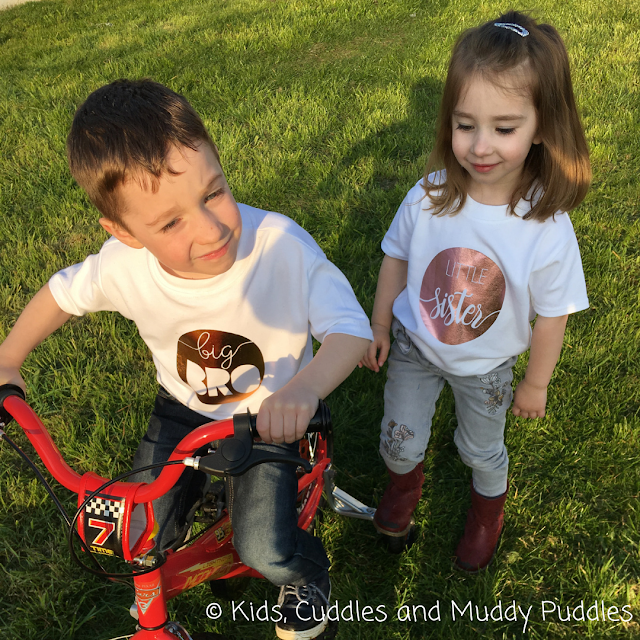 This photo shows how well the t-shirts stood up to an afternoon in the garden! Foil prints a little creased after wearing, but as good as new after washing and ironing! I asked the kids what they liked about them. My son said he liked how soft they were, "not scratchy at all Mum, I don't need a vest underneath!" and my daughter said, "I like to be matching my brother!" The website suggests washing at 30 degrees, and I turned them inside out for good measure! They came out as good as new with no bobbling and the foil design didn't fade, crinkle or come away at all. 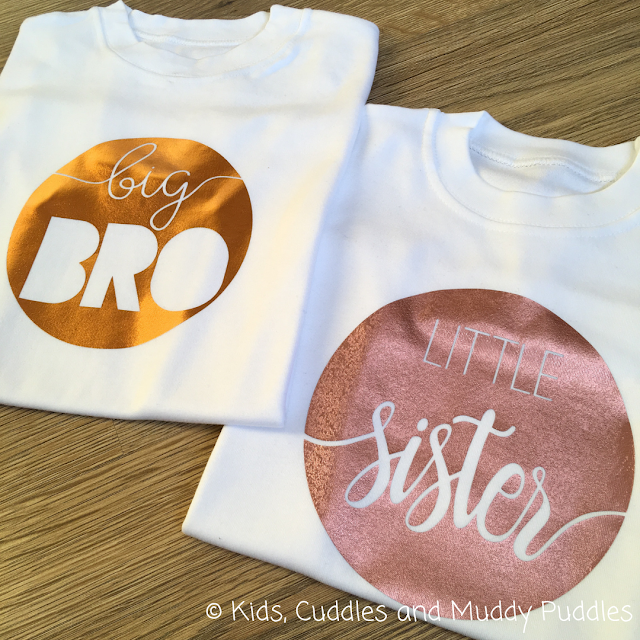 For £7.99 each, these t-shirts are great value and a welcome addition to the children's wardrobes! 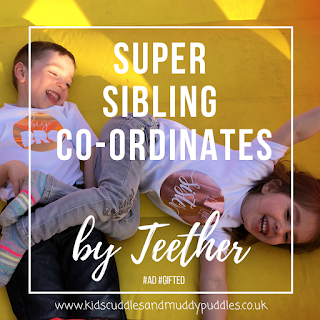 If you fancy co-ordinating sibling t-shirts for your little ones, be sure to check out Teether online, on Facebook or Instagram. They also have parent and baby sets in different designs so you could all get in on the twinning action! 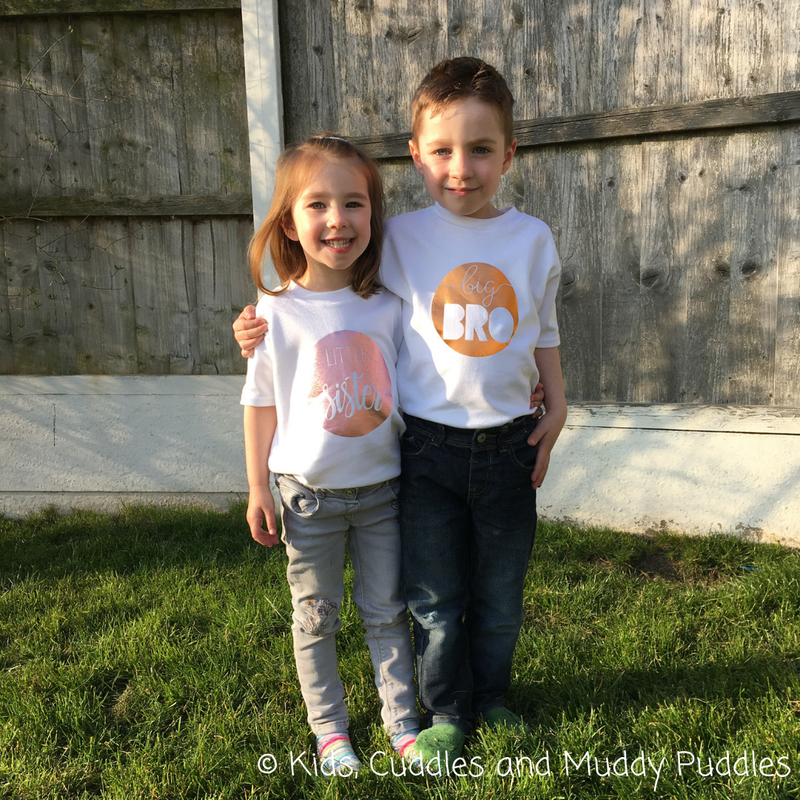 Have you ever dressed your opposite gender, different aged children in the same outfits? I'd love to hear about it in the comments below! Or why not tag us in your photos on Instagram? 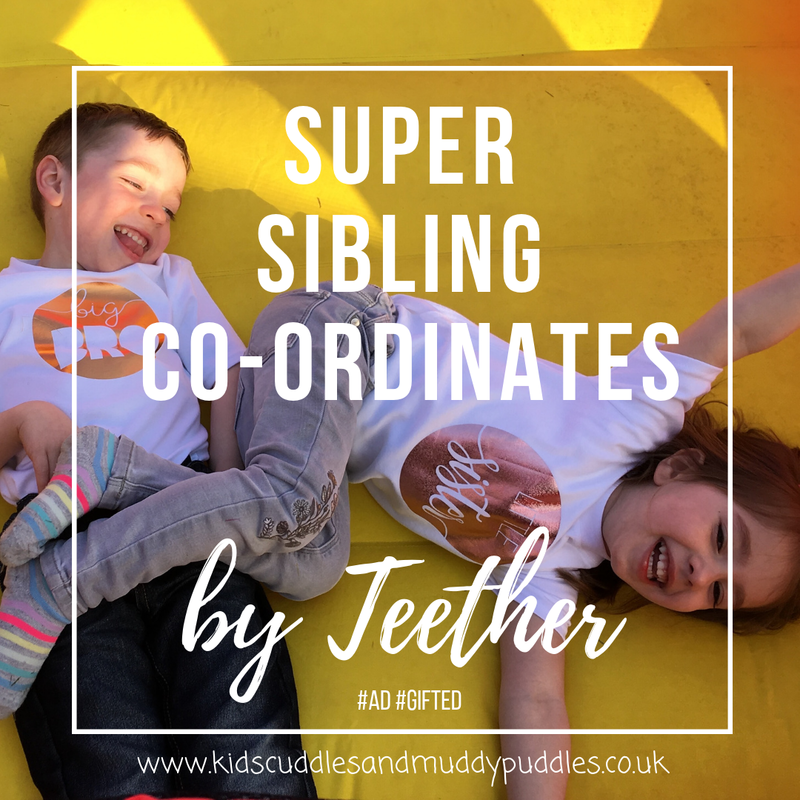 It might give me some ideas for the future, seeing as though my kids enjoyed co-ordinating their look! 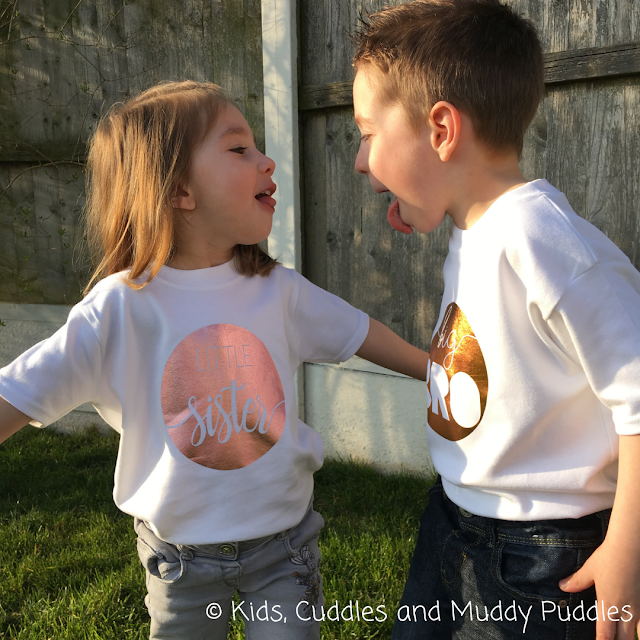 Finding joy in the little things: Sibling rivalry is quite a new thing in our house at the moment, and we're muddling through this tiresome phase the best we can! 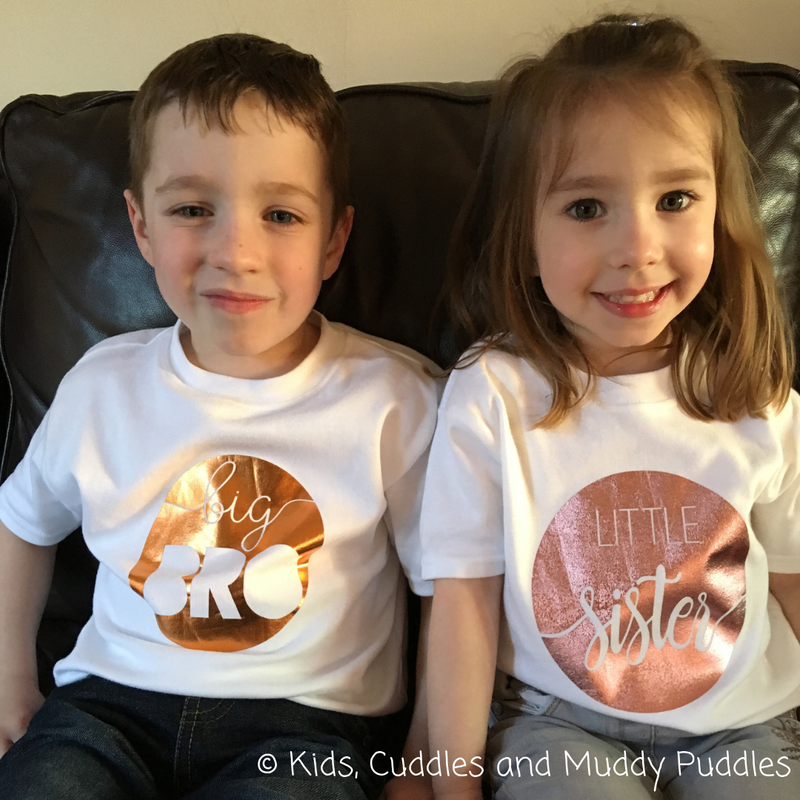 So it was really lovely for my headstrong children to have something the same as each other - they both felt equally special and important! And it gave me a break from the "I've got... , you haven't!" and "Mine is better than yours!" arguments! So thank you Teether for giving my ears and my vocal chords a rest whilst the kids hung up their boxing gloves for the afternoon! Haha!